Real Madrid C. F. and Marcelo have agreed to extend the player's contract, which will see him remain at the club until 30 June 2022. The news came on the day when the Brazilian was told that he will be serving a two-match ban. Real Madrid defender Marcelo has renewed his contract with the reigning Spanish champions for another two years which is set to expire in 2020. 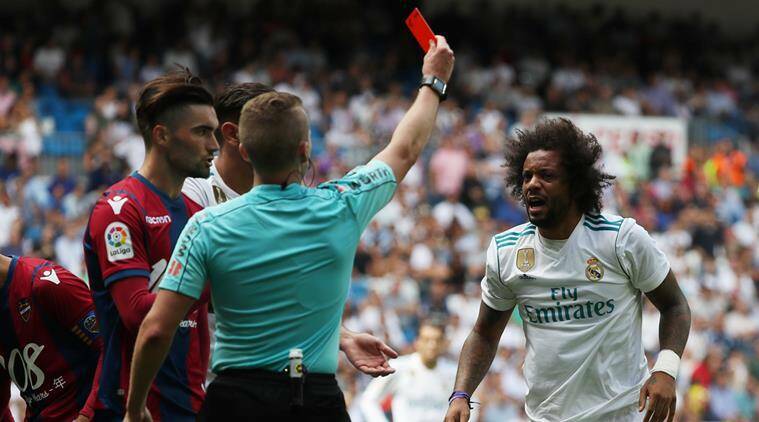 The news came on the day when the Brazilian was told that he will be serving a two-match ban following a red card against Levante on Saturday. Marcelo will appear before the media in the press room of the Santiago Bernabéu stadium on Thursday. Having made 406 appearances for Madrid and scoring 28 goals, the defender has helped Zinedine Zidane’s men win three Champions League titles, four La Liga titles, Copa del Rey glory and Fifa Club World Cup twice.